"I am absolutely in LOVE with evian spray and want to carry it around with me all the time! Its hydrating refreshing formula beats all the products out there!!" "Not only is evian spray hydrating and great for your skin, it’ll give a youthful, healthy glowing appearance." "It's perfect to use to really make your eyes pop! Also, if you want cheekbones that can be seen from outer space, use evian spray before applying your powder or highlight." "Spray before putting on a face mask for added moisture. For sheet masks, use evian spray mist it with water and adhere the mask on the face." 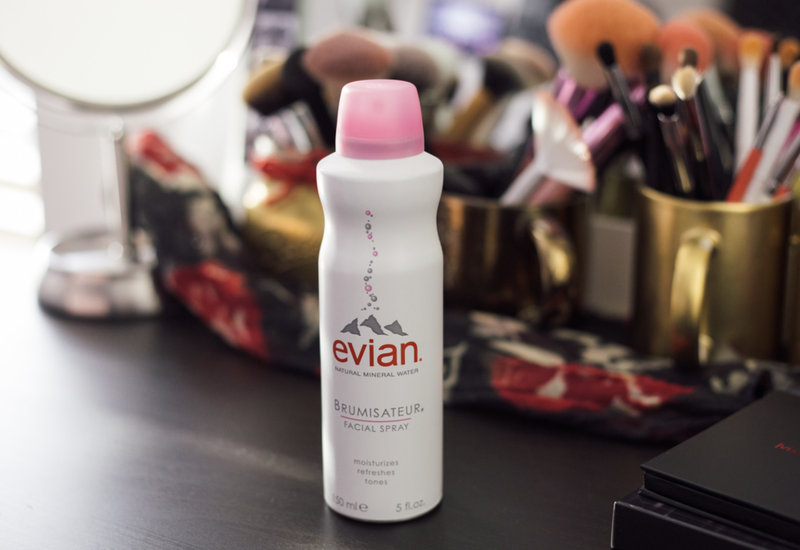 "The aspect of evian spray that I was most invested in was the ability to set makeup. I really hate when my makeup transfers to the necklines of my sweaters, button downs, and blazers. It looks terrible and is a pain to remove, so for the true test, I put on my new white striped sweater. By the end of the day my collar was makeup free!" "When spending the day at the beach, it's always nice to have refresher! I keep 2 evian sprays in my purse so I can pass it on to a friend." "I rely on my bottle of evian facial spray to help me and the little one cool down. Because it's free from any toxic chemicals, it's safe to use during diaper change and even good to soothe irritated bottoms with a diaper rash." 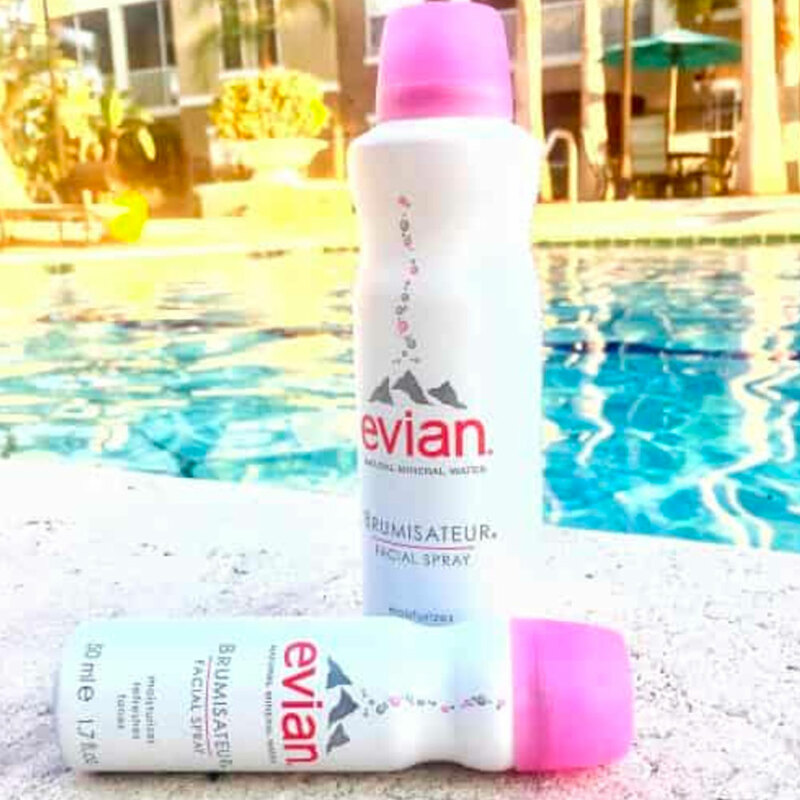 "With help from evian Mineral Water Facial Spray, we’ve been able to stay just a little bit cooler when we visit the local park all while keeping our skin hydrated...evian Facial Spray is a must-have for our Arizona-living family." "It is impossible to keep little hands and faces clean, and the last thing you want to do is use harsh soaps on their sensitive skin. Instead, mist fresh, cooling pure Evian water on their little faces and hands. My kids love it!" "When I’m out running errands with my kids, I love to treat them with ice cream, especially now that the weather is warming up. My favorite thing to combat messy hands and faces is Evian Facial Spray."